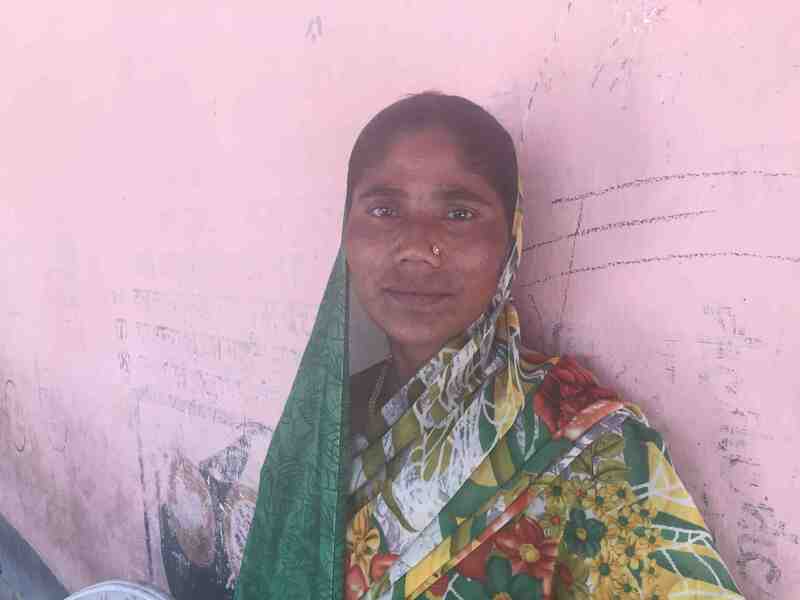 The first time she sold her vegetable produce through Digital Green’s new Loop App, in February 2016, Veema Devi of Rajkhavampur village in Samastipur district, Bihar, India, was apprehensive that she would earn as much money as when she sold it herself. Though she had more produce available, she sent only radishes to the market through her aggregator, Devinder Singh. By early afternoon, Devinder returned with her earnings and receipt. The price was competitive, and Veema saved six hours by not traveling to the market herself. 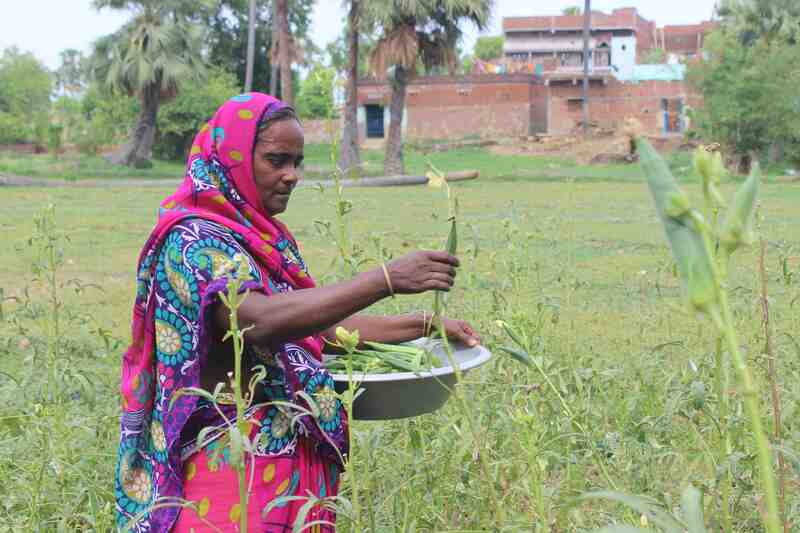 Veema now uses Loop regularly, selling radishes, okra, tomatoes, and other vegetables. Smallholder farmers spend a considerable amount of time and money transporting their produce to the nearest market. However, they lack the volume and real-time, comparative pricing information that could yield better prices. Digital Green launched a pilot project, Loop, in India’s Bihar state in August, 2015, to improve smallholder farmers’ access to markets and to help farmers realize the highest possible income from sale of their vegetables. Under Loop, farmers sell their produce through village level agricultural extension workers, who function as aggregators. Often farmers themselves, the aggregators reach out to fellow farmers to raise awareness about Loop and its operations, recruit farmers to participate, and operationalize Loop’s collection, transport, and sales transactions. Aggregators collect produce daily, oversee its transport to and sale at market, and disburse payments to farmers. Aggregators are aided by Loop’s mobile application that enables them to record collections, sales, transportation type and costs, and trader details in the form of a digital ledger, and sends farmers receipts by text message when sales are completed. This is supported by an android mobile application by the same name. Transactions of INR 31,320,419 have been carried out in 1,624 visits by the aggregators to 19 mandis in Bihar. Anil Kumar Singh, 35, of Samastipur district, Bihar, India, lives with his wife Poonam Devi have two children who are in school. 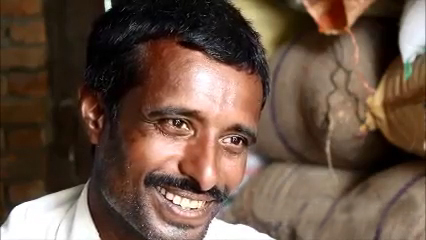 Anil Kumar has 2.5 bhiga (approx 1.5 acre) land where he grows vegetables like parwal, baingan, kheera etc. He used to go to the mandi (market) by a bicycle. “It was quite uncertain. I was able to sell the produce sometimes, on other days I used to spend the whole day there and come back home in the evening,” he shares. Carrying heavy the load of the vegetables sometimes his bicycle would break down on the way. “Now with the Loop vehicle things have become easier for us. Ranjit bhaiya (aggregater) comes and collects the vegetables to take it to the market. Earlier he used to collect it from our house, but now he collects it straight from the farm,” shares Anil Kumar. The time that he saves is used for working harder on the field spraying pesticides and watering the plants, which has helped him improve the yield as well. “I have used the Loop vehicle at least ten times to send my produce like cabbage, cauliflower, green peas and parwal to the mandi. My vegetables are transported to various markets like Tajpur, Samastipur, Bihar Sharif mandis,” he adds with pride. “When Ranjit Bhaiya returns from the mandi he comes first to give us the money and a receipt and I also get a message on my mobile phone. Now I dont face any problems in selling my vegetables and now I grow more vegetables than before. I get the payment sitting at home; I dont have to go chasing after them to recover the payment. I have complete trust on Loop,” shares Anil Kumar. Digital Green is a not-for-profit international development organization that uses innovative digital solutions and community engagement to improve lives of the rural poor. Its early roots were formed as a Microsoft Research Project in Bangalore in 2006. The project was part of an effort to test different ways of using technology for social development. This project focused specifically on testing the use of participatory videos as a means of agricultural extension. The approach was substantially more effective as a means of extension than existing conventional agricultural extension programs. Digital Green has pioneered the use of participatory videos to strengthen behavior change programs in the agriculture domain. Early research showed that this approach used in promoting better agricultural practices and technologies to farmers results in seven times higher adoptions and is ten times more cost effective than traditional systems to reach farmers with agricultural messages. In which areas you are operational. Anywhere in Rajasthan? Great to see such effort for farmers and best wishes.